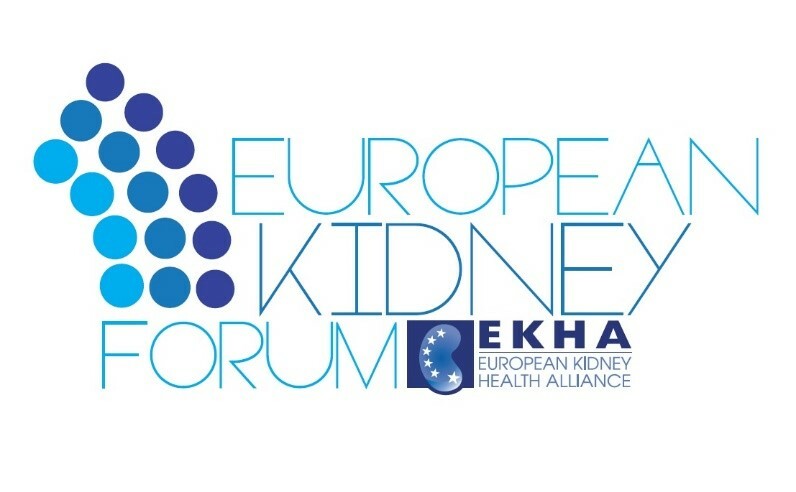 On 11 April, EKHA (European Kidney Health Alliance) and the MEP Group for Kidney Health hosted the European Kidney Forum 2017. The main aim of this collaboration is to bring together experts from the kidney community (physicians, patients, researchers, health economists, nurses and allied professionals) and European policymakers to discuss key topics and activities related to kidney health. In 2015, EKHA launched its Recommendations for Sustainable Kidney Care for policy makers in order to influence kidney health policy at EU level. This year’s Forum focused on the second cluster of recommendations – patient choice of treatment. MEP Hilde Vautmans (BE) in her opening speech stressed that more attention should be given to kidney health at EU level, including better treatments for patients and more affordable self- or home care, issues related to transplantation such as organ harvesting. Health inequalities in kidney care in Europe: inability to continue work or study due to dialysis dependence; time lost at dialysis (travelling to and from, waiting); inability to be mobile/travel; health implications; personal cost implications and implications for family. EKHA maintains that all therapies should be accessible to all patients throughout Europe and in order to safe-guard this right a better distribution of healthcare spending and cost savings is required. Key tasks: patients-centred decision-making in RRT; fair access and distribution of care modalities across regions; social impact should be considered in the search for technological innovation; option for conservative care if appropriate. Health economic factors: the QUALY (quality-adjusted life years) concept was presented that states that crucial is to strike the balance between healthcare money and health effects. The review concluded that providing drug insurance to people with chronic diseases who have no drug insurance appears to increase appropriate use of and adherence to drugs. The shift of financial responsibility to patients may lead to underuse of potentially important medications in people with chronic conditions. In order to improve the current situation and help ensure patient access to care, it has been suggested to shift towards value-based insurance scheme that varies cost sharing depending on whether the drug, procedure or treatment is considered high or low value for money. The speaker concluded by saying prevention that acts on persons indirectly, by altering their physical or social environment is most cost-effective and innovations should be available for all. The EC (European Commission) referred to the main findings of its recently published report Health at a Glance: Europe that shows in average 10% of GDP countries spend on health, only 3% healthcare funding is on prevention (4.1% in the UK) whereas the employment rate of people with chronic diseases is much lower than for those who do not have any. The speaker referred to recently published ‘Social rank: a risk factor whose time has come?’ report that includes evidence-based strategies to minimise the impact of social hierarchy on health. He added that the EC is launching its Joint Action on Health Inequalities (€2,5m) included in the EC Work Programme 2017 and adopted in January. EU member states have now the deadline on 11 May to expressed their interests to join. The objective is to develop a policy framework with a list of actions and recommendations for local take up and implementation at national and regional level in order to fight health inequalities and to support health systems dealing with challenges related to integrating vulnerable groups. It includes those inequalities related to high influxes of migrants and the need of integrating these particular populations in the regular health systems. The work will build on the existing evidence, including the conclusions of theMarmot report and the recommendations of the WHO (World Health Organisation) Commission on Social Determinants of Health. It has been also a reference to the statement of MEP Karin Kadenbach (AT), Chair of the MEP Group for Kidney Health on chronic kidney disease.